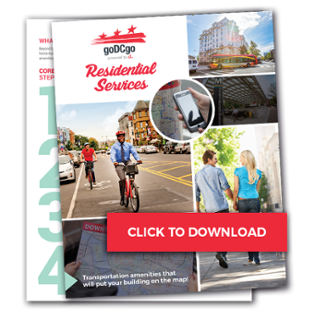 Download your Residential Services toolkit to get your amenity started. From secure bike parking and carpool-matching to installing a transit screen and providing cycling classes, transportation amenities enhance multifamily communities. How to tailor transportation amenities to the specific needs of your property. Resources available to help get the job done.